At the age of sixteen, Abby is undergoing major household changes. Her mom is getting ready to remarry and her new step-brother is driving her insane. She is just trying to keep herself busy with school and her part-time job when a most deliciously handsome stranger moves to her little seaside town and won’t leave her alone. I really enjoyed this book. It was quite original, and fairly deep with interlocking past and present pieces. It’s impossible not to love Abby, our fantastic and down to earth heroine who refuses to believe that anything so outlandish and supernatural could be anything but a dream. I quite liked Harris’s interpretation of trolls, and I especially like how they are born. The use of jewels was quite ingenious and ties in well with the old treasure trolls people that grew up in the 90s remember. I enjoyed the trolls having magical powers of persuasion, being able to manipulate earthen things to resemble what someone wants most. The one thing that I really disliked about this novel, and almost caused me to drop down the star rating to a three, was that there were many errors that could have and should have been caught by an editor. Usually it was merely a dropped word, but in a few cases the wrong word was used. If it had been one or two, it wouldn’t have detracted from the novel, yet this was often enough that I had to keep pushing through because I needed to know what happened next, even though I kept being jarred from the story. 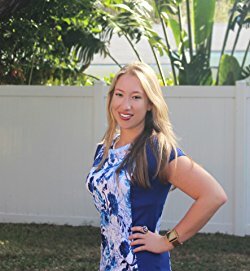 Author and film director Ashley C. Harris resides in Florida. Ashley was first recognized for her edgy writing and unique film work when she wrote and directed the teenage film “Lines”. Lines was the first feature film in the world captured using only Mac Laptops.In 2013 she teamed up with Barclay Publicity to release the first in a new young adult novel series, “Shock Me”. Ashley then went on to author eight other titles, in multiple genres, as she also worked behind-the-scenes on a morning news show that aired on ABC. In 2014, four of Ashley’s books landed on the Amazon’s Best Selling Top-Ten-List. 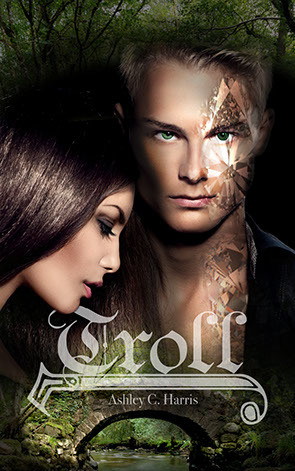 In 2015, she received her first publishing deal for “Troll”, a KindleScout novel winner.When Ashley is not dreaming up new manuscripts and working on film sets, she loves spending time with her family, obsessing about biblical mysteries, and watching lots of Doctor Who. Keep an eye out for her newest releases!